If you're here again today, I thank you from the bottom of my heart. 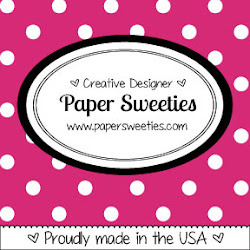 I shared a few new cards today; so if you've been by to see them all, I'm SO grateful. And if you've just stopped by to see this one, I thank you just the same. It means SO much to have you stop by and take a peek and I'm glad you're here. This is another fun card created using some adorable Lawn Fawn stamps and dies. I love those cute little carrots peeking their way through the mounds of soil. And those bunnies....just TOO cute. They are here to let you know that "Some Bunny Loves You", and so do I. 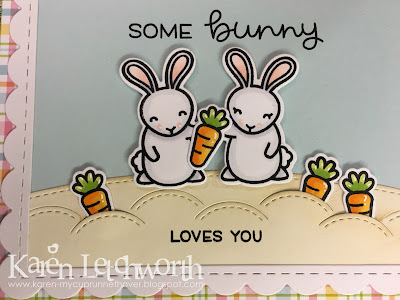 These bunnies would love to hop right into your craft room. I'm sure glad they visited mine! Here's where I'll be playing along. 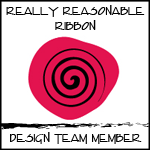 I don't often enter a lot of challenges, so please be sure to let me know if I've missed one that you're aware of. 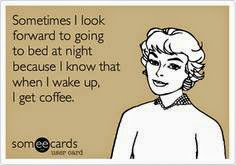 I do try to stop by and see what's going on here and there...and everywhere. I can't stay away from Lawn Fawn! Have a great day. Lawn Fawnatics Challenge Blog - Challenge #24 - Fun With Dies - I used the Some Bunny Stamp Set and the coordinating Some Bunny Lawn Cuts to create all the sweet bunnies and carrots, etc. 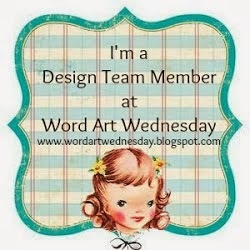 Penny Black Challenge - March Challenge: Feature A Creature - This is my third and final entry of three. I don't have any Penny Black stamps yet, so I used some by Lawn Fawn. 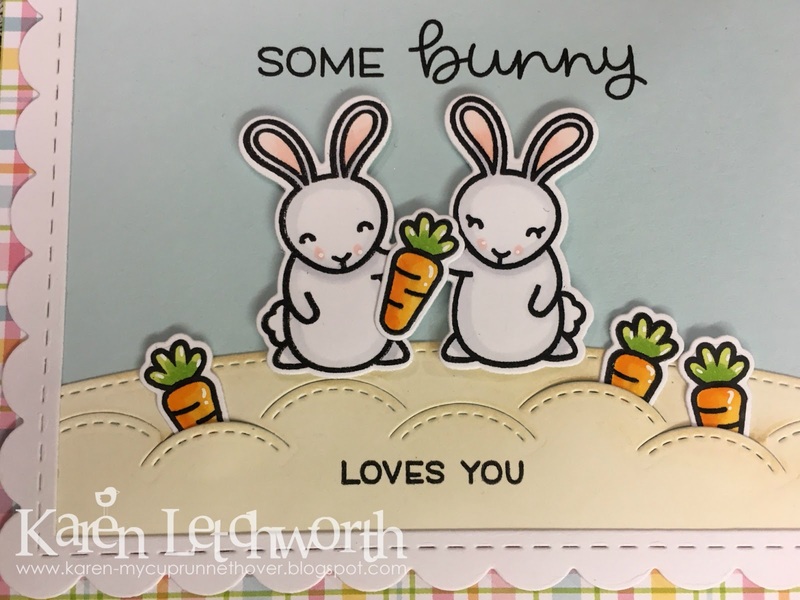 This is such a happy card with that sweet Bunny image, many thanks for joining in with our 'Feature a Creature' theme at Penny Black and More challenge. Oh my goodness, this card is so charming! Great use of the Stitched Garden Border die! So glad you shared with us at Lawn Fawnatics! Very cute Karen - like the layout! So adorable! 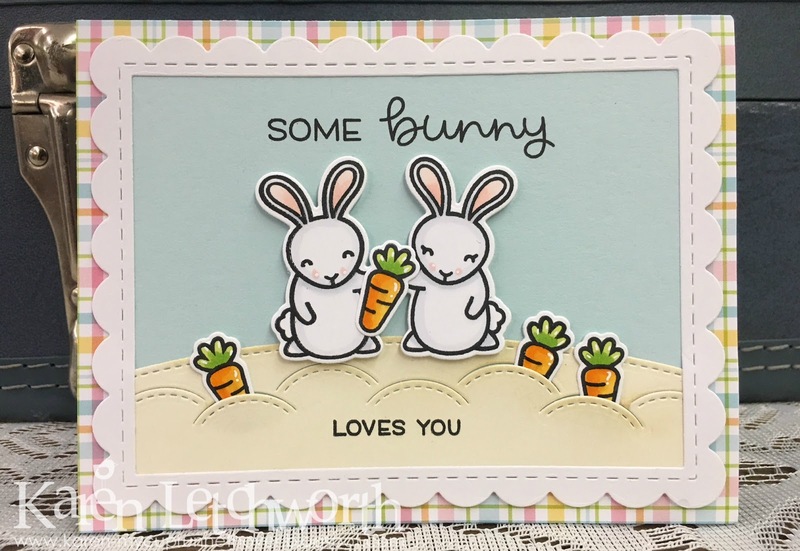 Love those bunnies and your coloring too! 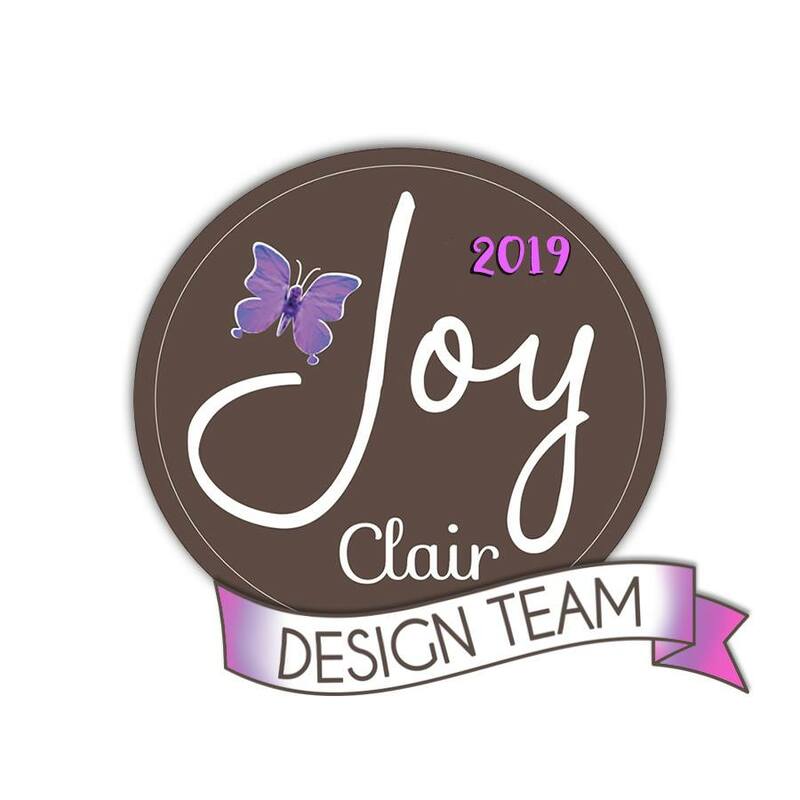 Thanks for sharing with us at Joy Clair's March Challenge! A lovely card, well designed.